Hanuman while washing face finds water stopping and calls Lala to get water soon. Minnie gives him water and asks why he seeks Laala’s help always and even scolds him. Hanuman says he is habituated to Laala like Minnie and Babita, asks if her mamma told how was her first day at job. Minnie says she told, but did not clearly as if she is hiding something from her. Hanuman says her mom never hid anything from her till now. Minnie says hmm.. Hanuman asks why she is not convinced today and to reveal what she is feeling. Minnie says mom would have got tired, but supervisor’s job is just to order sitting at one place. Hanuman asks if her mother said this. Minnie says yes. Hanuman says it is not an easy job. Minnie rushes towards Babita’s room. Hanuman thinks he cannot understand what is happening between mother and daughter. Minnie walks back to her room and sees Babita dipping her feet in warm water and then apply ointment on her foot injury. She wipes her tears and says she wants to ask something. Babita hides her feet and asks to go ahead. Minnie asks what is all this. Babita says her leg sprained, so she was taking warm compresses; why is Minnie tensed, what is in her mind. Minnie says that she knows her new job and responsibility is not easy, but she is giving her 100% so that nobody can point at her; she will not get weak if she shares her problem with me, maybe I have solution for her problem, she will feel bad if she hides her problems. Babita says she wants Minnie to get more education than her mother and be better than her mother, without suffering like her mother. She continues that her Hanuman uncle says mother and daughter are mirror image, but she wants her daughter to grow so big that nobody can make her feel low like they make her feel low. She reminds of Dadaji’s encouraging shayaris. Ashok reminisces Meeta’s words that she wants Ashok to gain respect in her parent’s eyes and ask her hand from them properly. Meeta enters and asks why is he still sitting in her room, he should go up and sleep. Ashok asks if she thinks he will match her father’s expectations, what if he does not as his family thinks he is a failure. Meeta says he is a good man, but he did a mistake of having an affair while he is already married, even she did not bother as she has faith on him. Ashok says he is trying hard, but is nervous as he poured all his savings in business and what if he fails. Meeta says he cannot fail and she will not let him fail; they both know each other’s weak points and strengths and together they can succeed and he should trust her. He hugs her giving consent. Babita pampers Minnie and asks her to sleep. Minnie requests her to sing her childhood lullaby. Babita sings lullaby Dhoondne se khushiyon ki raahen nahi milti…. and makes her sleep. Hanuman lying on his bed hears her lullaby. Minnie wakes up after sometime and seeing Babita asleep while sitting makes her sleep properly. She then nurses her wound silently. Next morning, Minnie checks Babita’s sandals and thinks she will give her shoes to Babita. Babita walks down and asks what is she doing. Precap: Babita describes her concern at job to Nayeem Bi. 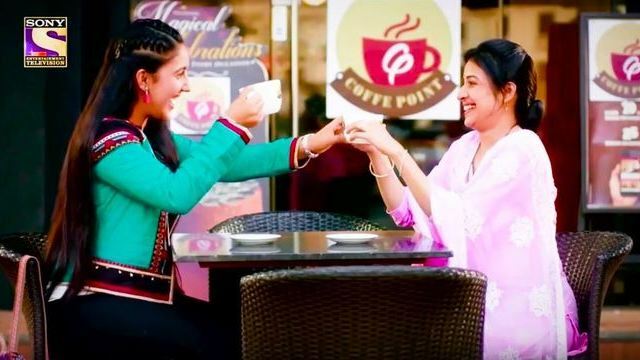 The post Patiala Babes 5th March 2019 Written Episode Update: Babita Sings Lullaby For Minnie appeared first on Telly Updates.